Following rumors that Google's digital wallet service Android Pay would be launching this month in Brazil and the Czech Republic, Google has made the news official today. 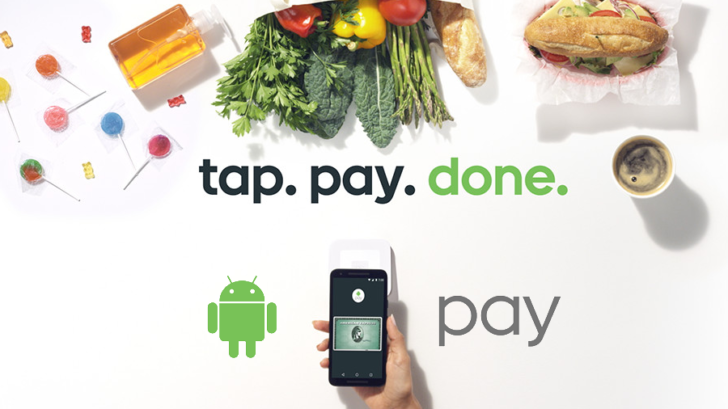 With the Brazilian launch, this is Android Pay's first foray into South America. In the Czech Republic, participating retailers include the supermarket chains Ahold, Billa, and Lidl, as well as clothing store H&M, ubiquitous fast food restaurant McDonald's, and railway company Regiojet. You can use Visa or MasterCard with J&T Banka, mBank, and Moneta now, while support for Komerční banka (KB) is coming soon. In Brazil, supported banks include Banco do Brasil, Brasil Pré-Pagos, Neon, Caixa, and Porto Seguro now, while support for Bradesco is coming soon. This does not mark the end of Google's expansion of Android Pay, as the service is anticipated to launch in South Korea by the end of the year.